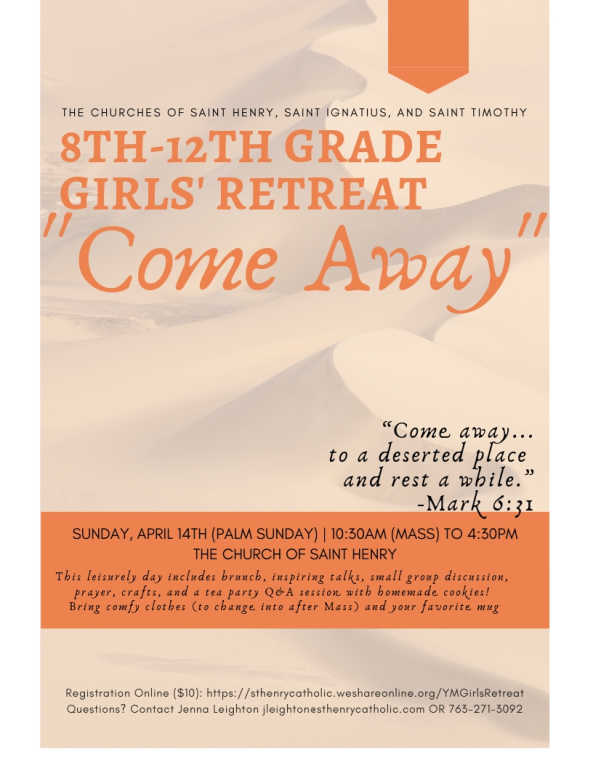 What is the Girls' Retreat? 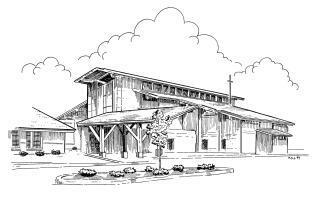 Gather with your sisters in Christ from Saint Timothy, Saint Ignatius, and Saint Henry and retreat with us on Sunday, April 14th (this is our RESCHEDULED DATE due to conflict with previous date). Christ invites us to “come away...to a deserted place and rest a while.” (Mark 6:31). On this leisurely retreat, we’ll rest in fellowship and prayer and learn to listen to the Lord who is speaking to our hearts. The day will begin with 10:30am Mass and include brunch, inspiring talks, small groups, prayer, crafts, and a tea party Q&A session! Bring comfy cloths (to change into after Mass) and your favorite mug. All 8th-12th grade girls are invited. Registration: Pre-registration and $10 required. Register online OR print paper registration and turn in to Jenna Leighton in the youth ministry office.